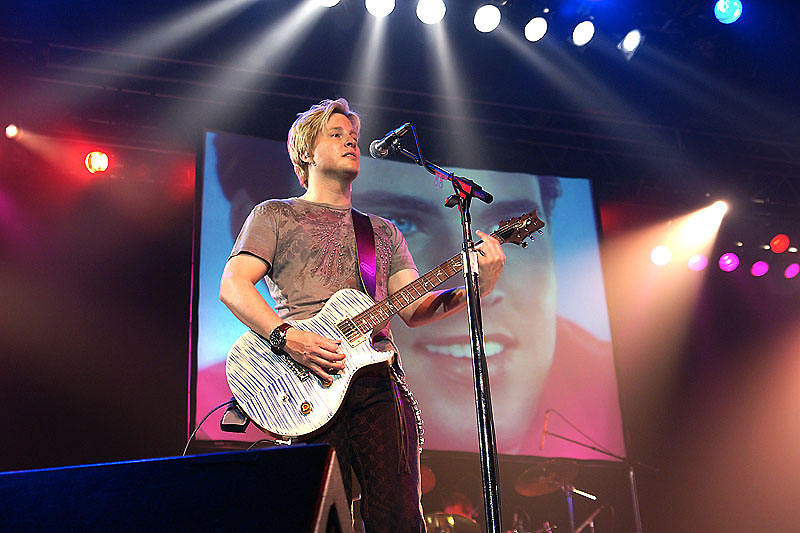 Celebrity entertainers The Nelson Brothers announced The Ricky Nelson Remembered Tour starring Matthew & Gunnar Nelson will be headlining onboard Royal Caribbean International’s Oasis of the Seas during her December 5th inaugural sailing. Oasis of the Seas is the world’s largest and most revolutionary cruise ship at sea making her homeport in Fort Lauderdale, Florida. Matthew and Gunnar Nelson will be the first celebrity performers to take the Opal Theater stage on the ship’s inaugural 7-day cruise sailing December 5th. 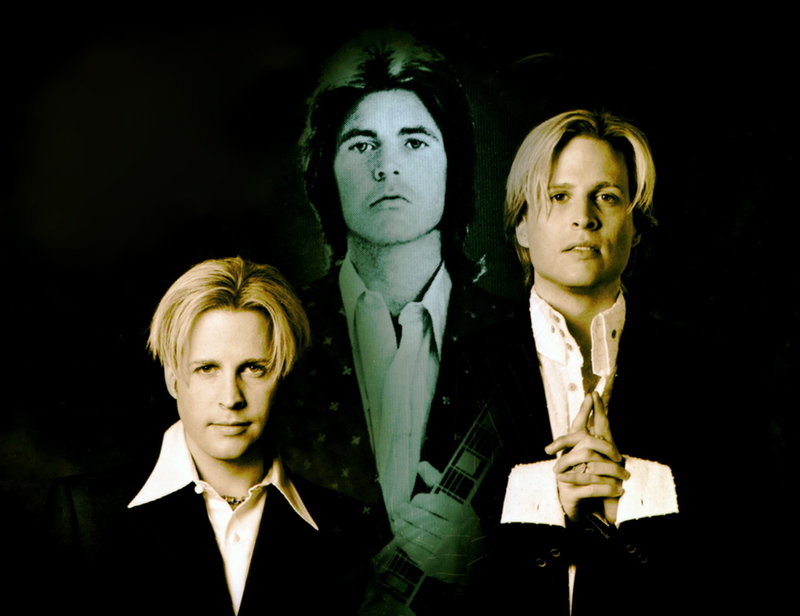 Celebrity entertainers The Nelson Brothers announced The Ricky Nelson Remembered Tour starring Matthew & Gunnar Nelson will be headlining onboard Royal Caribbean International’s Oasis of the Seas during her December 5th inaugural sailing. Matthew and Gunnar Nelson are the identical twin sons of Rock’n’Roll Hall of Famer Ricky Nelson, and grandsons of ‘50s TV icons Ozzie & Harriet Nelson of the Nelson family -- the only family in entertainment history with three generations of #1 hitmakers according to the Guinness Book of World Records. With their rock band NELSON, Matthew and Gunnar have (5) Five Top 40 Billboard hits, (4) Four #1 MTV videos and have sold over 4 million albums worldwide. The 'Ricky Nelson Remembered' show is a unique multi media tribute show featuring live music of Ricky Nelson's hit songs (including “Hello Mary Lou", "Travelin' Man”, “Garden Party") and never before seen footage of the NELSON family with interviews from celebrities influenced by Ricky Nelson. The show appeals to a wide audience and multiple generations and celebrates the life of America’s original ‘Teen Idol’. This year 2010 will mark the 25th anniversary of Rick Nelson's passing in a tragic New Year’s Eve plane crash. Royal Caribbean International’s Oasis of the Seas is the world’s largest and most revolutionary cruise ship at sea making her homeport in Fort Lauderdale, Florida. Matthew and Gunnar Nelson will be the first celebrity performers to take the Opal Theater stage on the ship’s inaugural 7-day cruise sailing December 5th. Ricky Nelson has been inducted into the Rockabilly and Rock'n'Roll Hall of Fames and has been honored with two stars on the Hollywood Walk of Fame. Ricky Nelson is the only artist to have a number one song "Poor Little Fool”, number one movie "Rio Bravo" and a number one TV show "Ozzie & Harriet" all in same week. Ricky Nelson's "Travelin' Man" music performance montage on TV's longest running sitcom "Ozzie & Harriet" is recognized as the first conceptual music video. Rick Nelson is credited with co-founding Country-Rock music, and has sold over 100 million lifetime record sales (verified by RIAA). As a singer-songwriter, Rick Nelson’s biggest hit was “Garden Party” which was recently honored in the Nashville Music Garden. 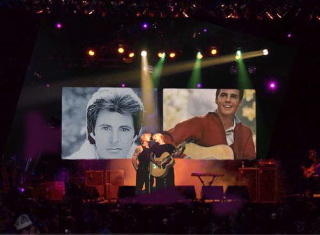 For more information on the 'Ricky Nelson Remembered' Tour visit http://www.TheNelsonBrothers.com or contact Obi Steinman at JHFP@aol.com. Oasis of the Seas is the largest and most revolutionary cruise ship in the world. An architectural marvel at sea, she spans 16 decks, encompasses 225,282 gross registered tons, carries 5,400 guests at double occupancy, and features 2,700 staterooms. Oasis of the Seas is the first ship to tout the cruise line’s new neighborhood concept of seven distinct themed areas, which includes Central Park, Boardwalk, the Royal Promenade, the Pool and Sports Zone, Vitality at Sea Spa and Fitness Center, Entertainment Place and Youth Zone. The ship will sail from her home port of Port Everglades in Fort Lauderdale, Fla. Additional information is available at http://www.oasisoftheseas.com. Royal Caribbean International is a global cruise brand with 21 ships currently in service and one under construction. The line also offers unique cruise tour land packages in Alaska, Canada, Dubai, Europe, and Australia and New Zealand. For additional information or to make reservations, call your travel agent, visit http://www.royalcaribbean.com or call (800) ROYAL-CARIBBEAN. Travel professionals should go http://www.cruisingpower.com or call (800) 327-2056.